FOX hosted a special Charlotte, N.C. screening of the new series Shots Fired, created by Gina Prince-Bythewood and Reggie Rock Bythewood. 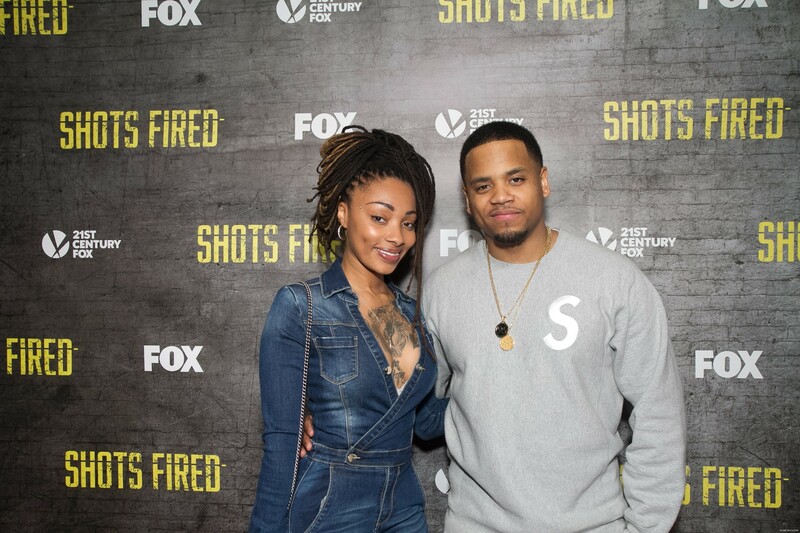 Shots Fired was filmed in the Charlotte area, so nearly 300 locals packed Studio Movie Grill to see the finished product and meet cast members Mack Wilds and DeWanda Wise. Attendees included singers Anthony Hamilton and Sunshine Anderson – both featured on the Shots Fired soundtrack (Sunshine has a cameo in the first episode) – Dutchess (VH1’s Black Ink Crew), guitarist Darnell Taylor, author Omar Tyree, civil rights activist Bro. John C. Barnett, Chewy (92.7FM The Block), Miss Jessica (Power 98), Beasie Baybie (Hot 103.9), DJ Skillz, Coretta Livingston (Radio One Charlotte), model Lee Barney and numerous Shots Fired extras and crew members. Radio personality and NBA Charlotte Hornets arena announcer Derrick Fly Ty Jacobs gave a high-energy welcome to the audience followed by remarks from FOX 46 anchor Brien Blakely. After the screening, Fly Ty moderated a Q&A with Wilds and Wise, who both thanked Charlotte for being such a welcoming, loving community during filming. #ShotsFired is a 10-part event mystery that examines the dangerous aftermath of two racially charged shootings by law enforcement in a small southern town. With amazing music, and an all-star cast led by Sanaa Lathan, Stephan James, Mack Wilds and Helen Hunt, SHOTS FIRED will entertain and challenge perspectives. The series premieres March 22 at 8/7c on FOX, prior to the spring return of Empire at 9/8c. Follow the show on social media at @ShotsFiredFOX.